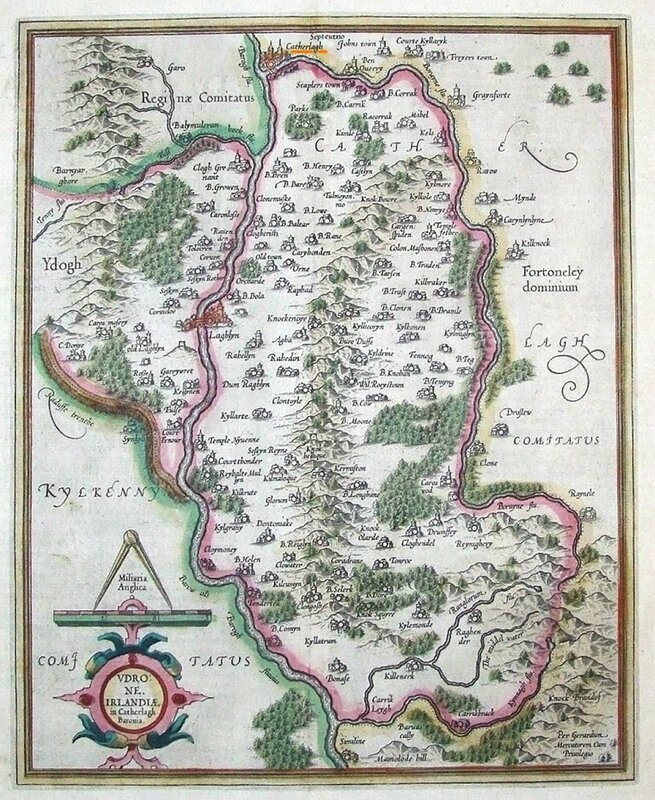 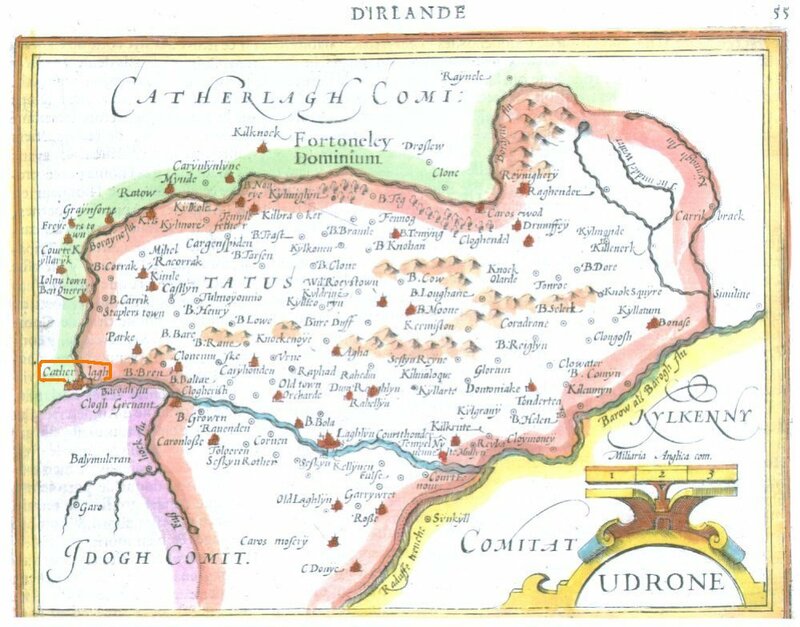 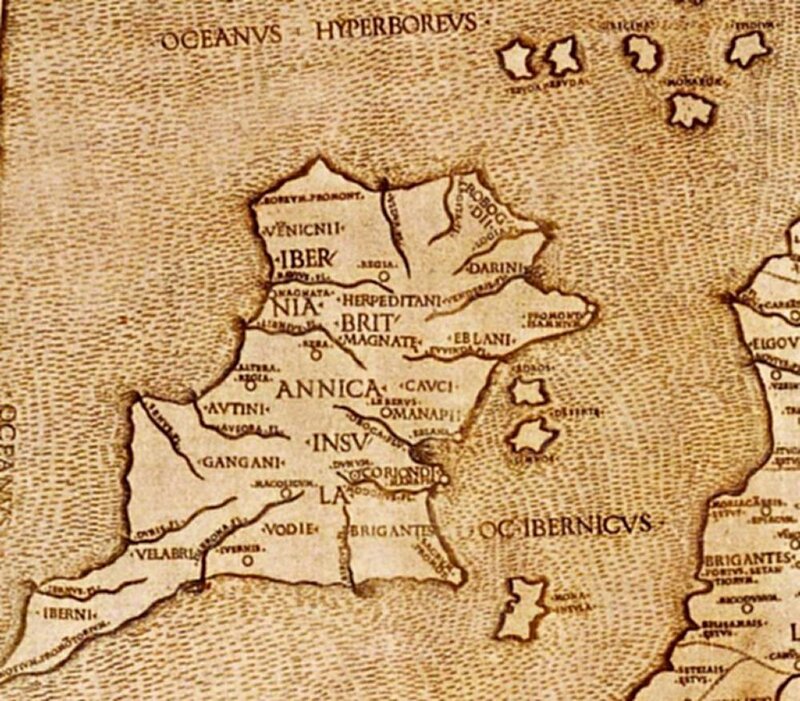 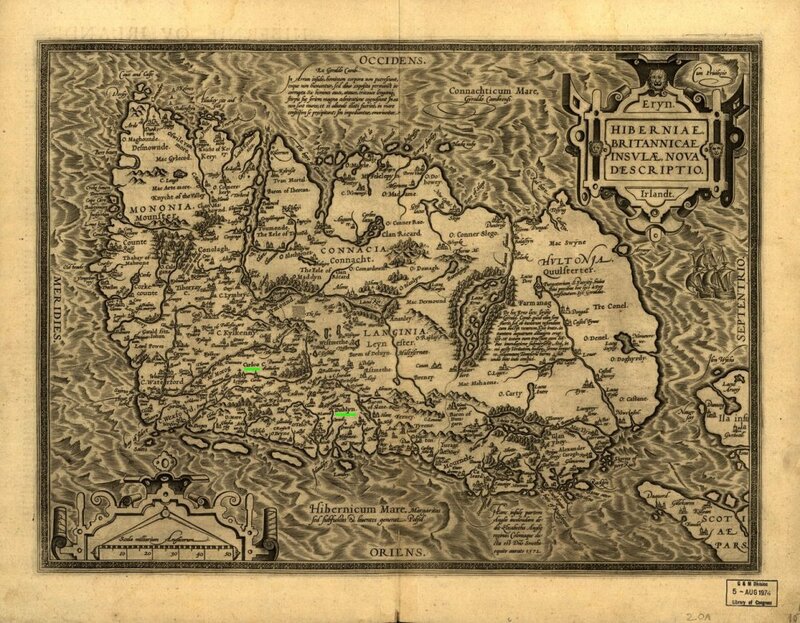 Engraved map of County Carlow - Ireland about 1630 "Udrone, Irlandiae in Catherlagh Baronia." 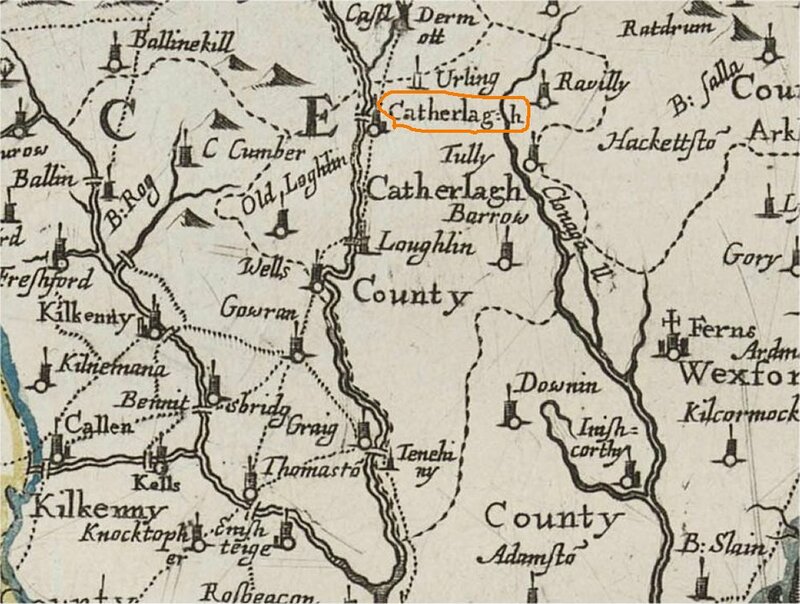 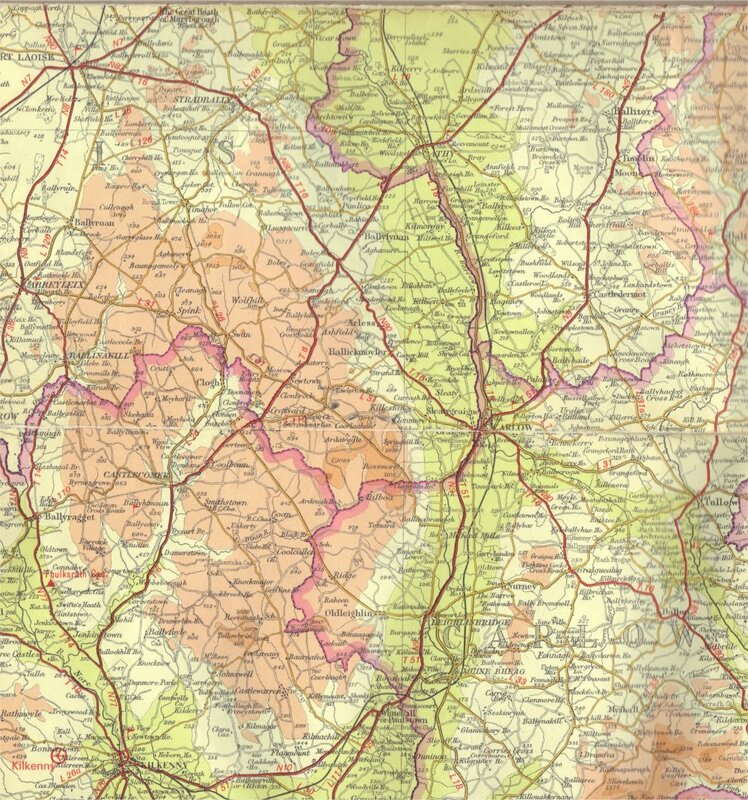 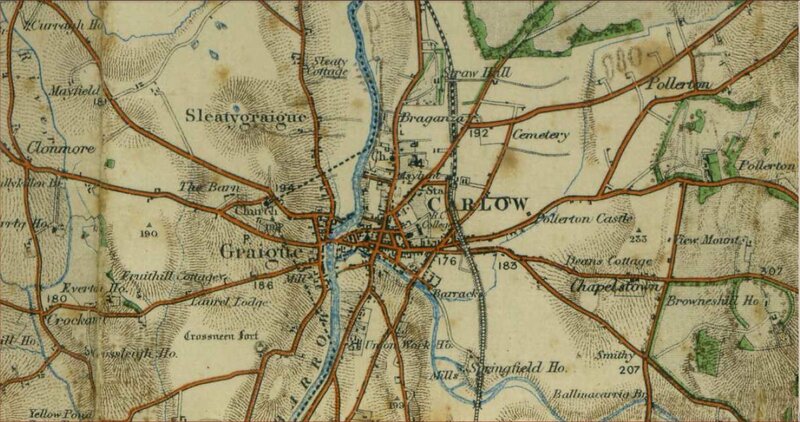 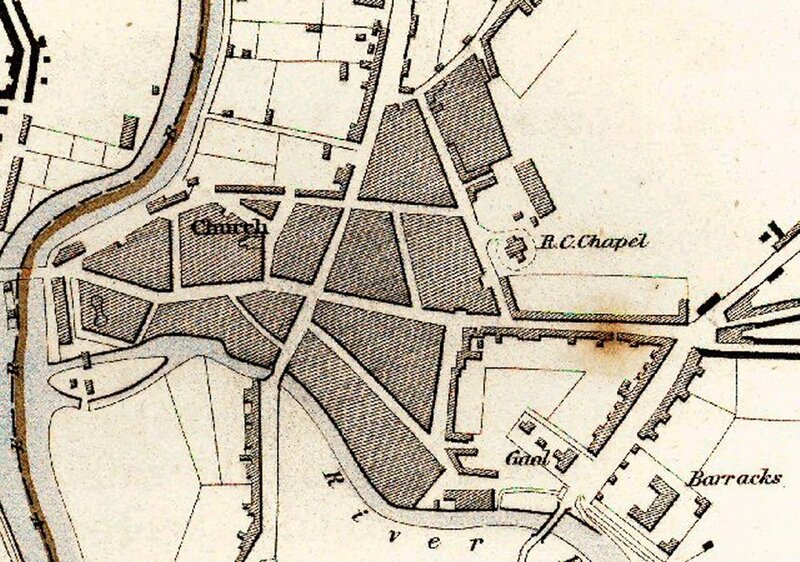 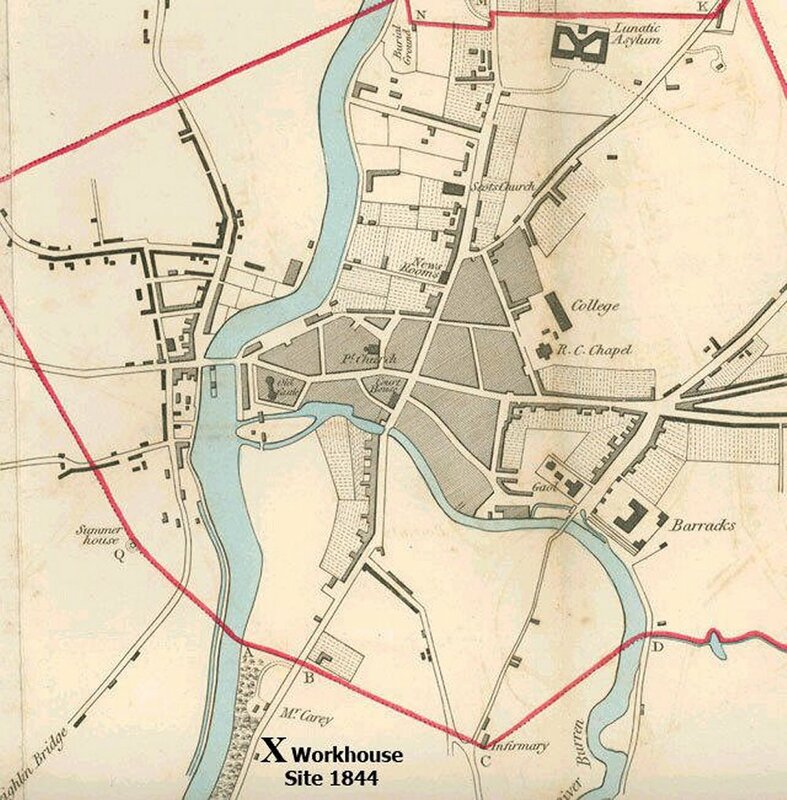 Part of the 1898 map showing Carlow Town which was recently supplied with kind permission of Peter Walker 2010. 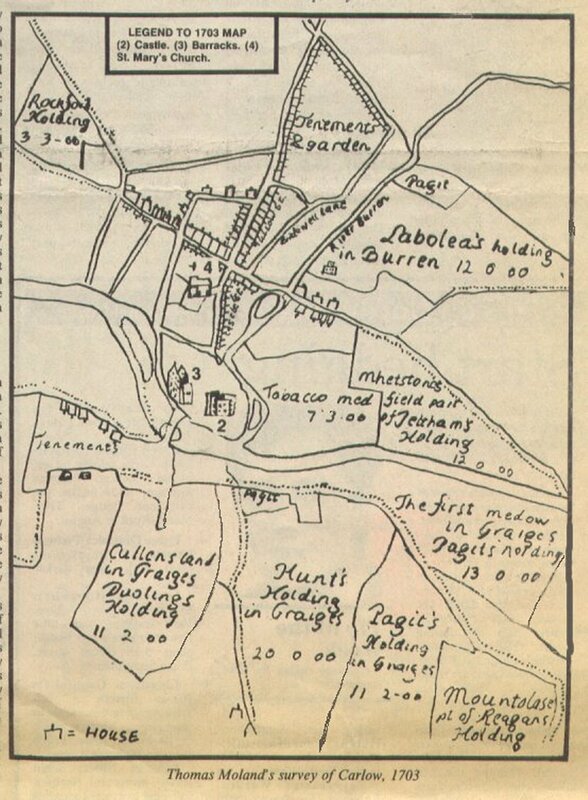 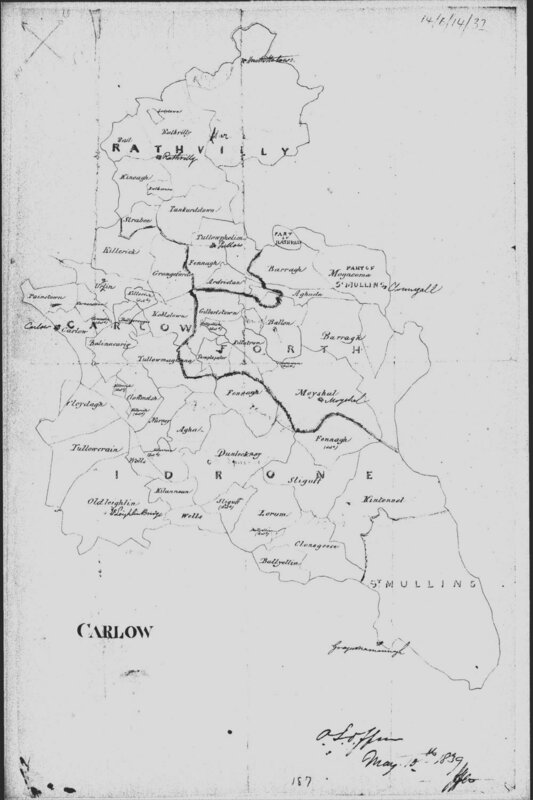 Thomas Moland's survey of Carlow c.1703. 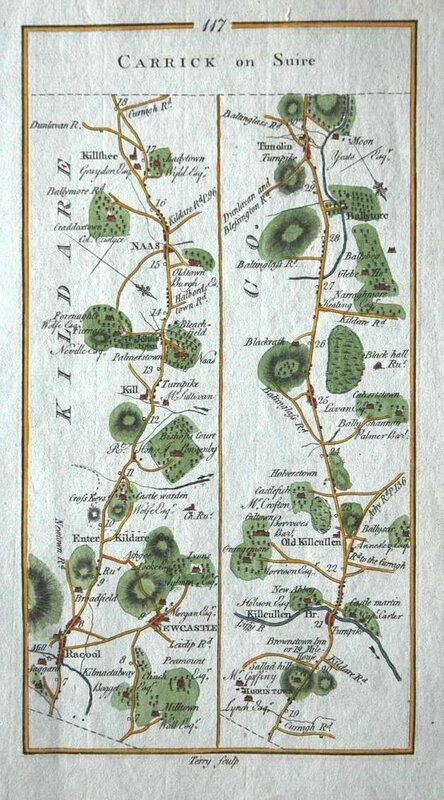 Legend to 1703 map. 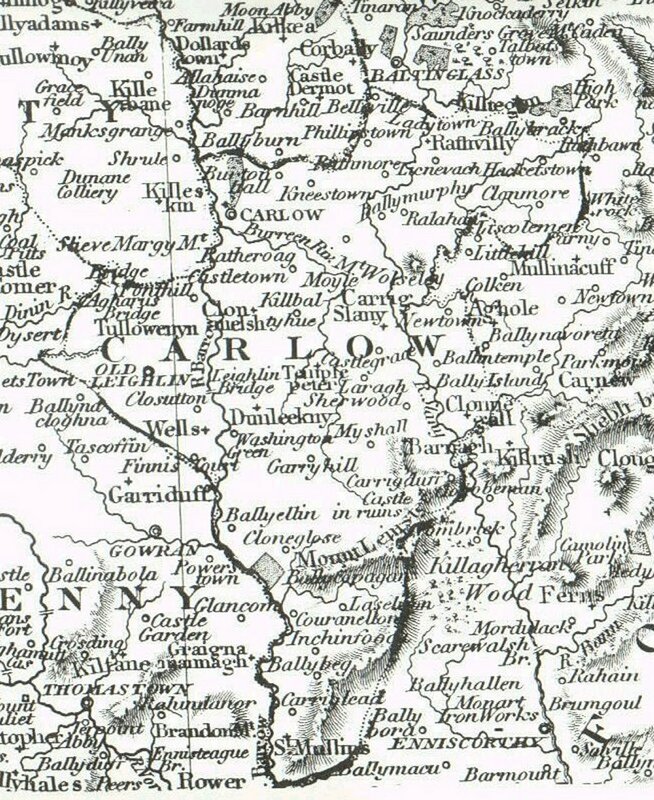 Road from Dublin to Cork via Carlow c.1776. 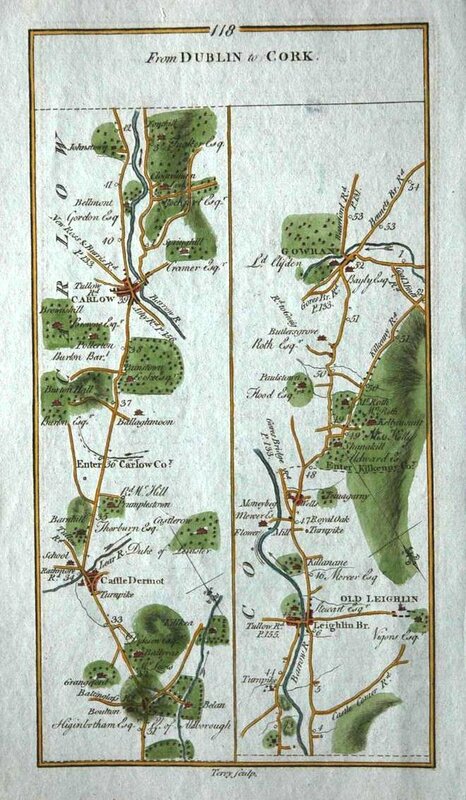 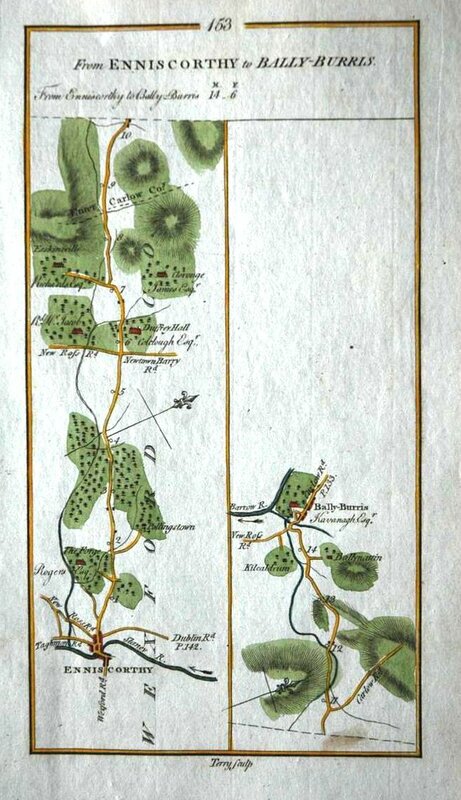 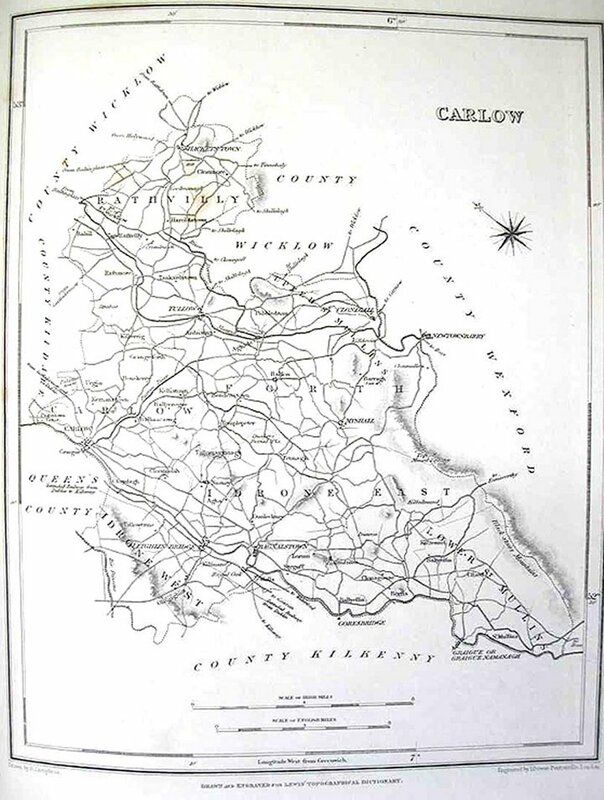 Road from Carlow to Tullow c.1778. 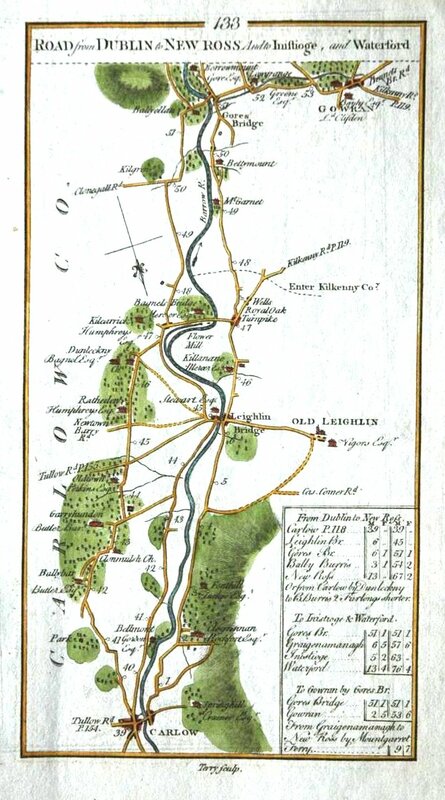 Road from Dublin to New Ross c.1778. 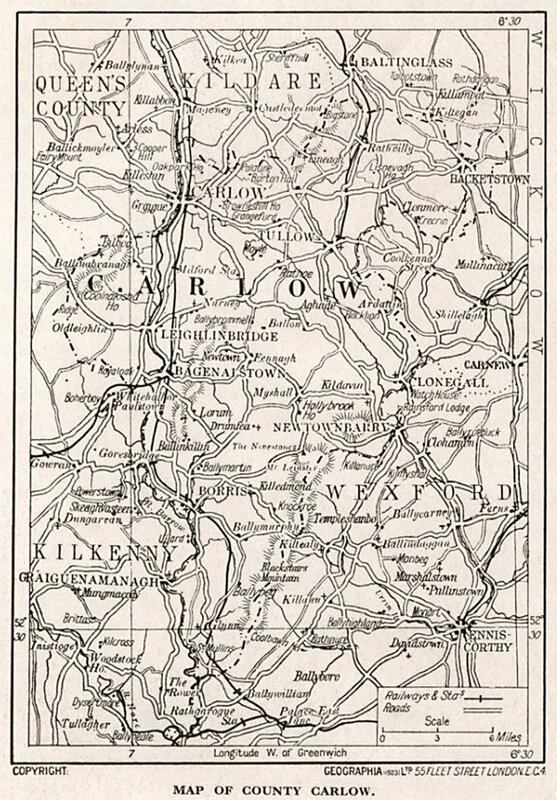 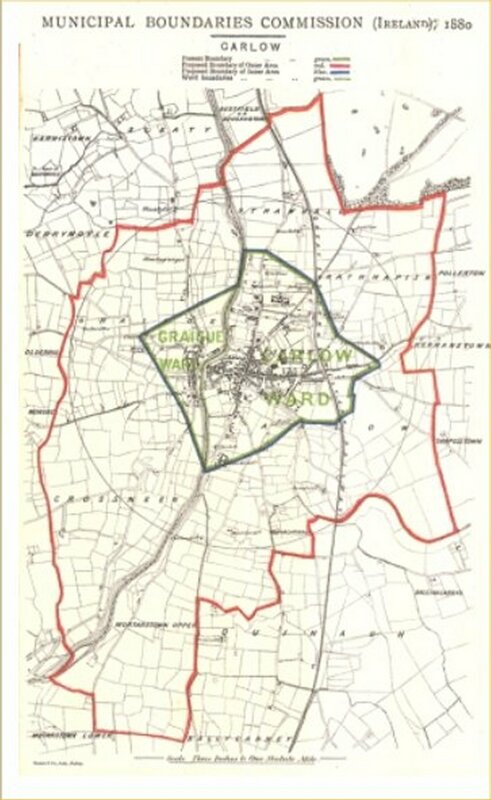 Map of Carlow produced in 1898 by R. W. Joyce and printed in 1902 by Murphy & McCarthy. 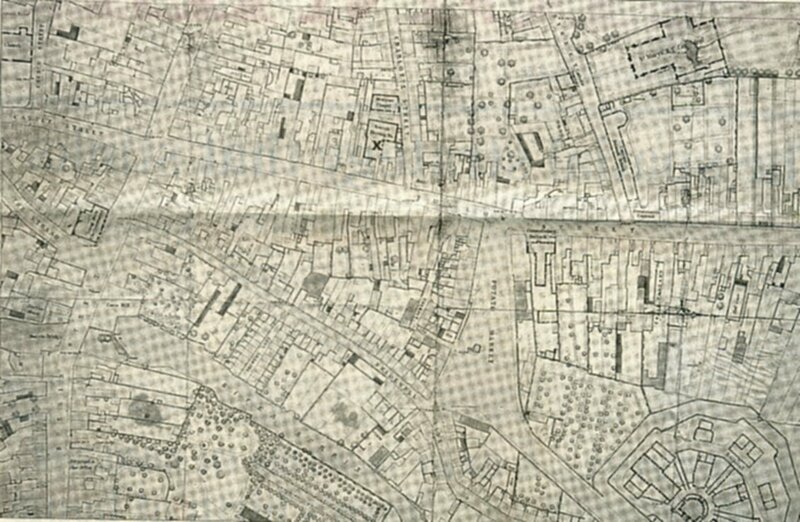 (7) Sessions House (now know as Deighton Hall). 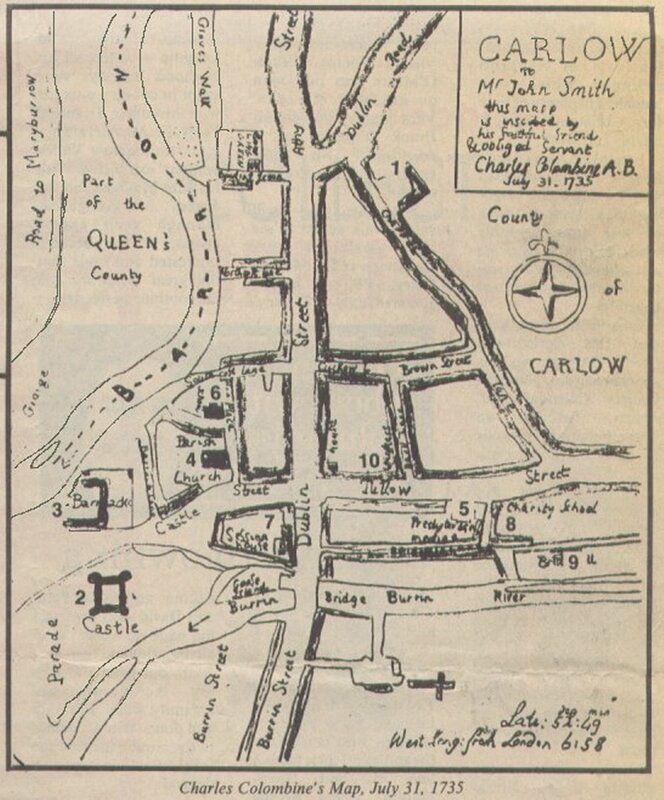 (8) Charity School (site of Garda Station). 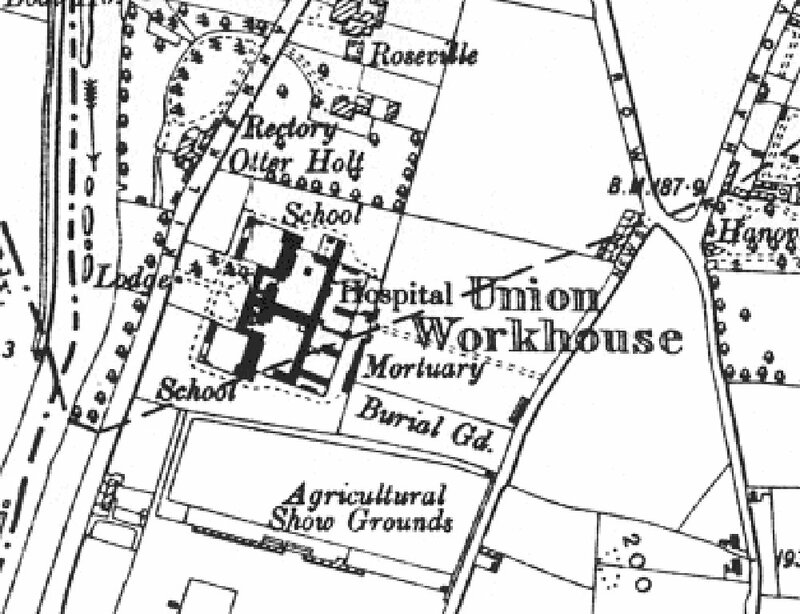 (10) Friends Meeting House (Quakers) site of Bosco's butcher shop). 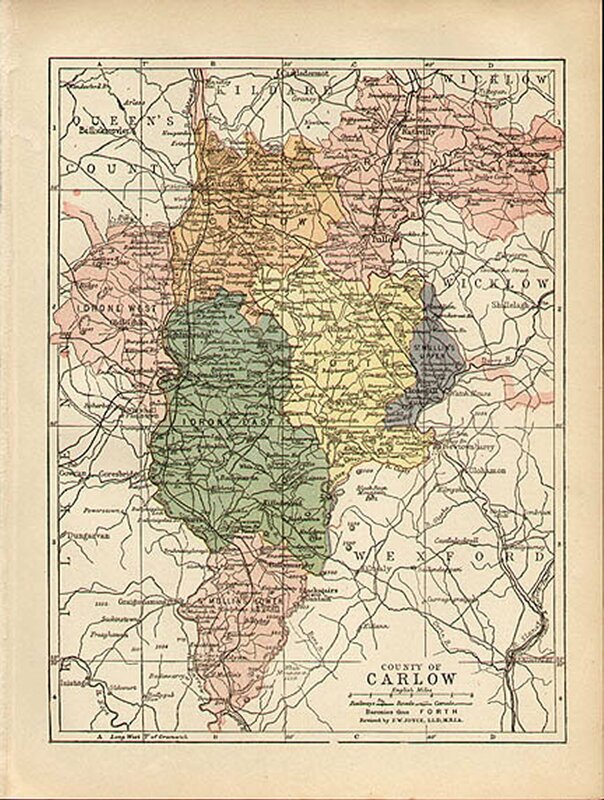 Map taken from "An HIBERNIAN ATLAS; OR General Description OF THE KINGDOM OF IRELAND. 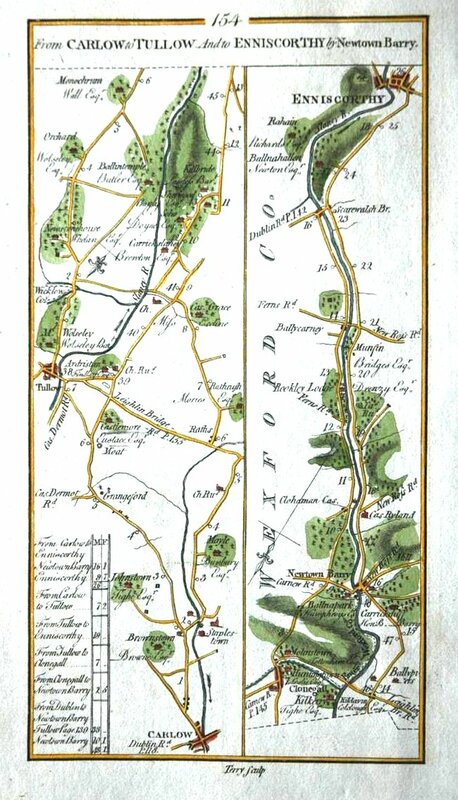 A coloured map published by Laurie and Whittle in London in May 1798. 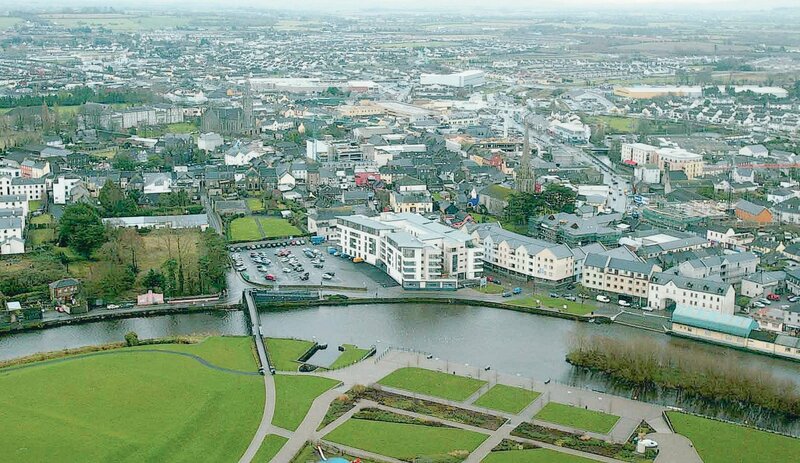 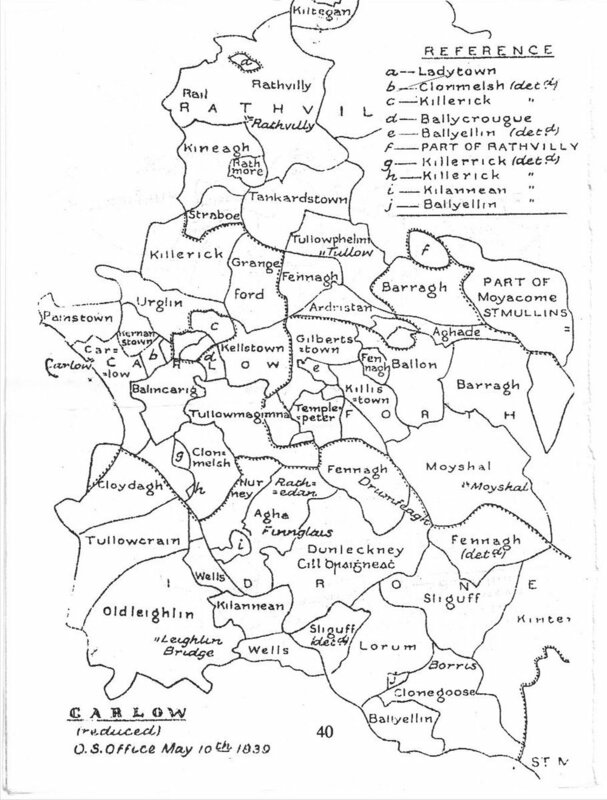 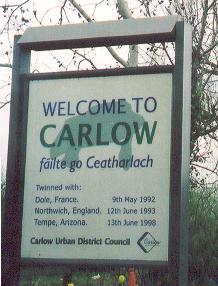 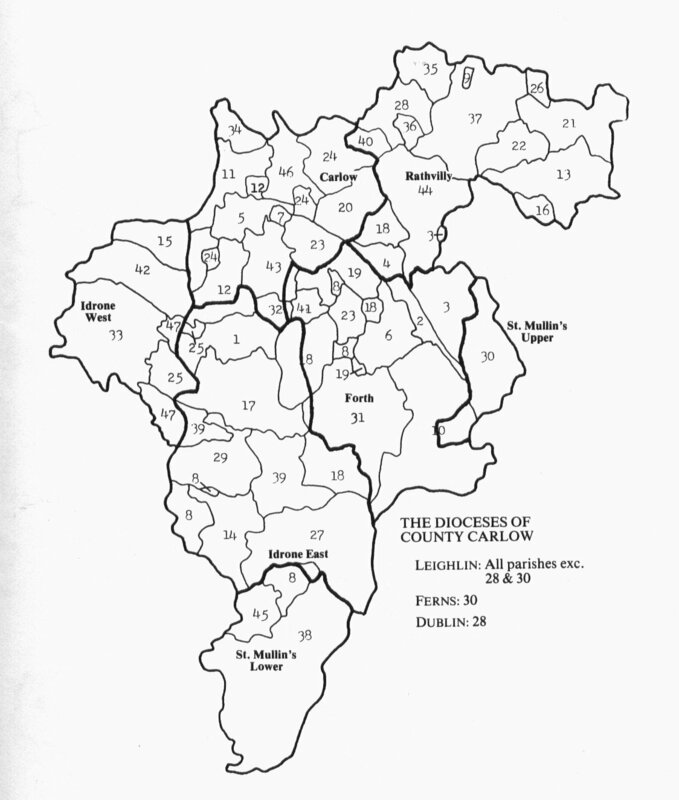 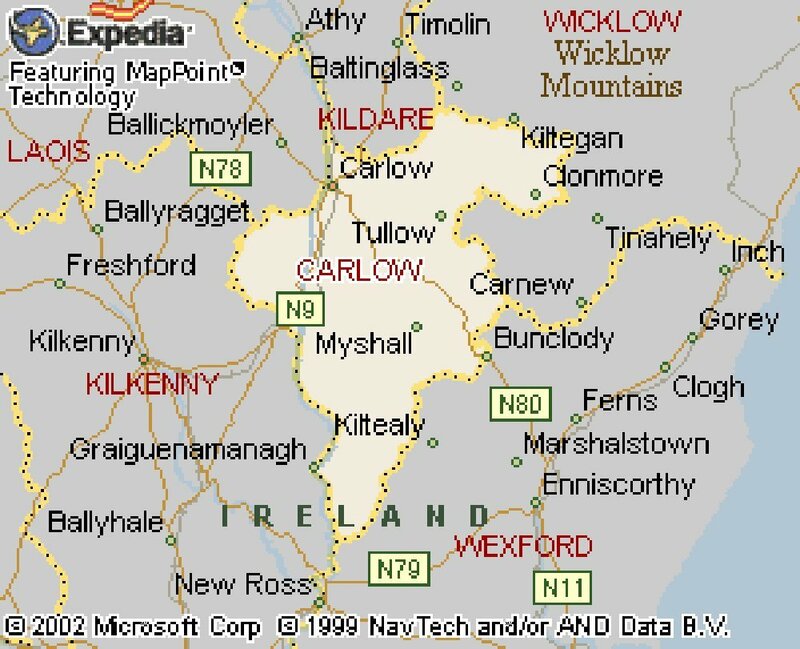 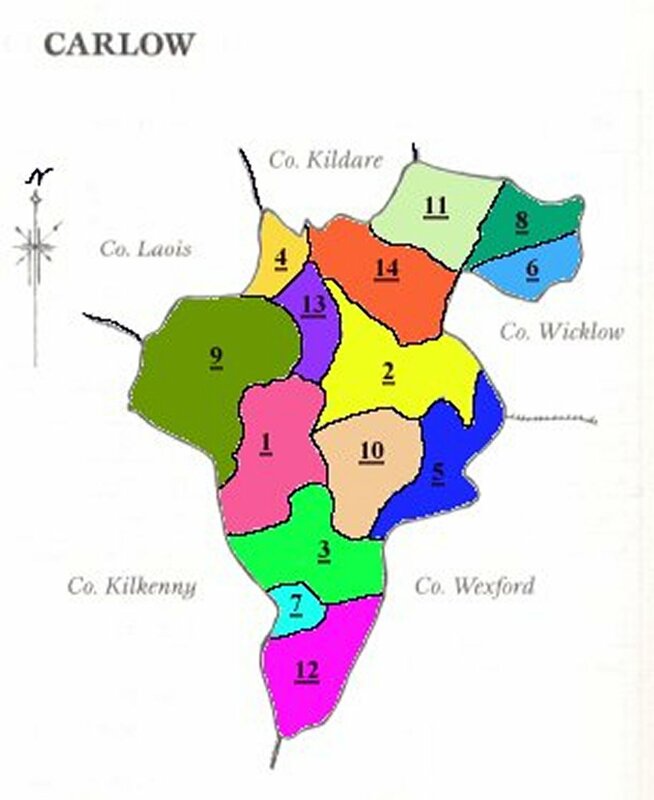 It shows County Carlow with its Baronies, the town of Carlow with Graigue and other towns and villages. 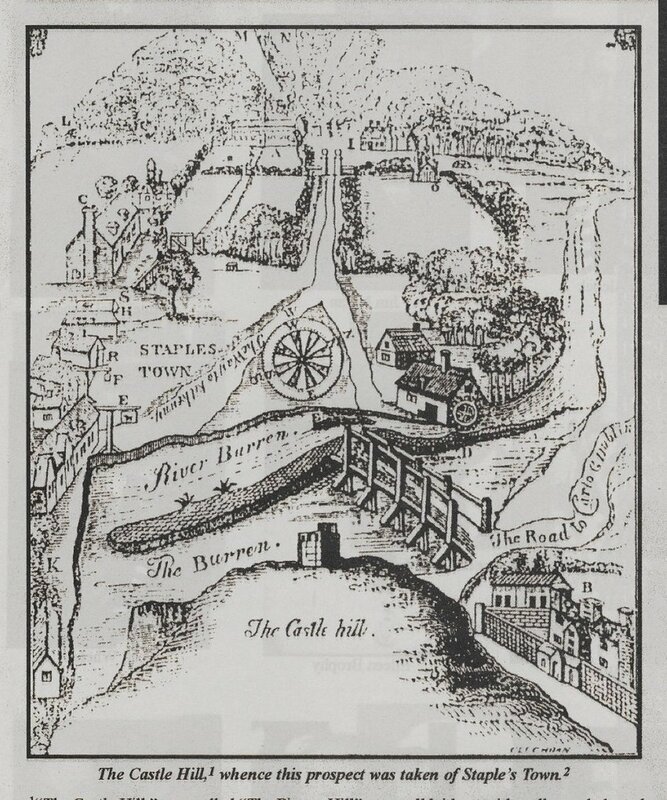 It also shows important physical features such as the River Barrow. 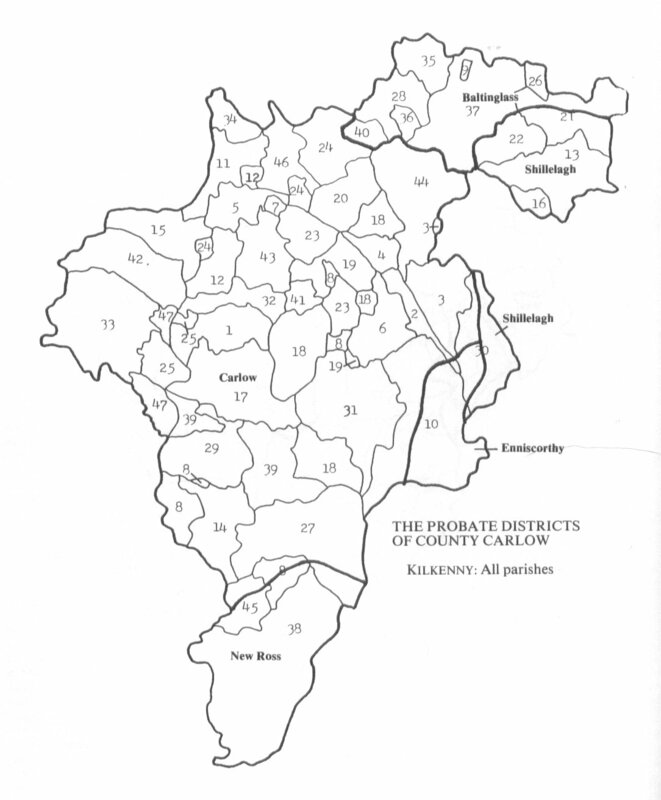 The surrounding Counties are also indicated. 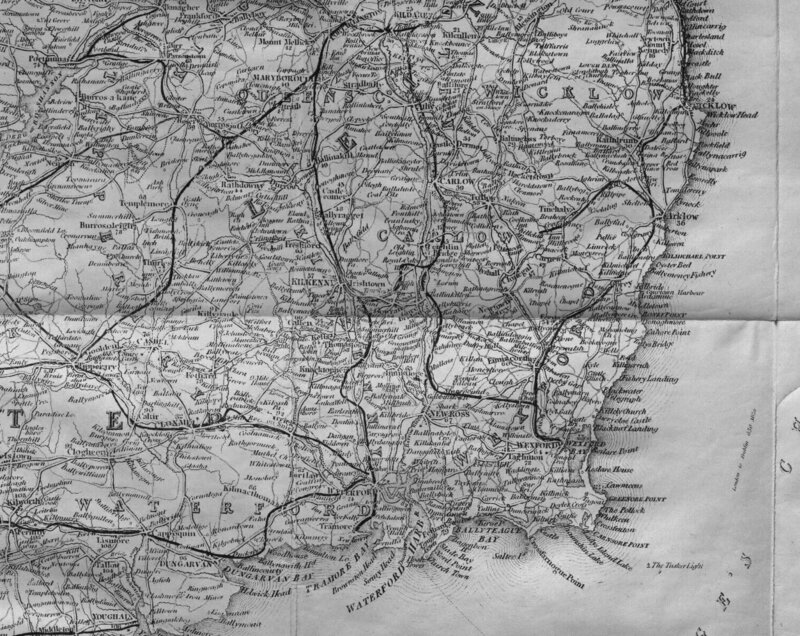 A scale of miles is shown in the left hand corner. 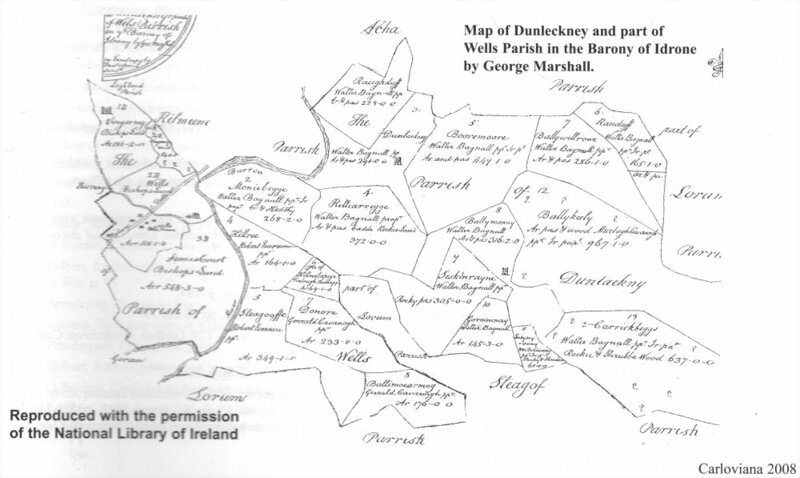 Map of Dunleckney and part of Wells Parish in the Barony of Idrone by George Marshall. 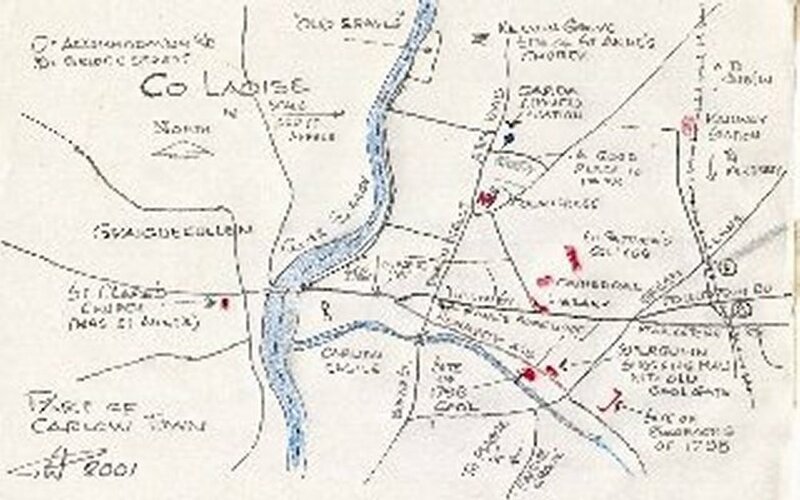 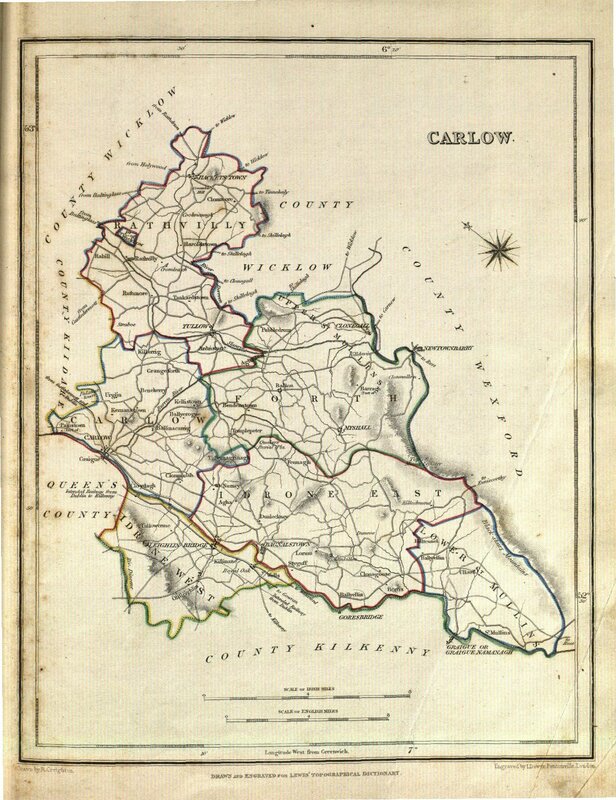 Lewis' Topographical Dictionary Map of Carlow c.1837. 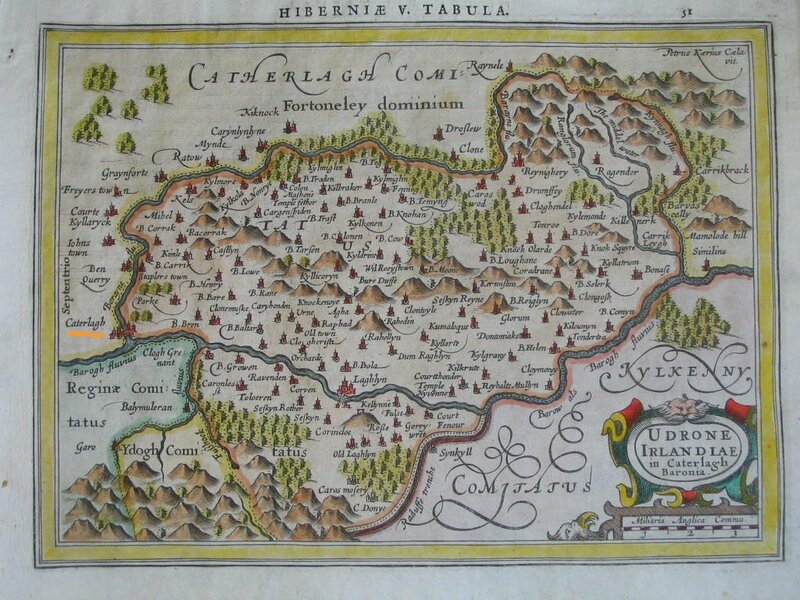 Source: eBay seller. 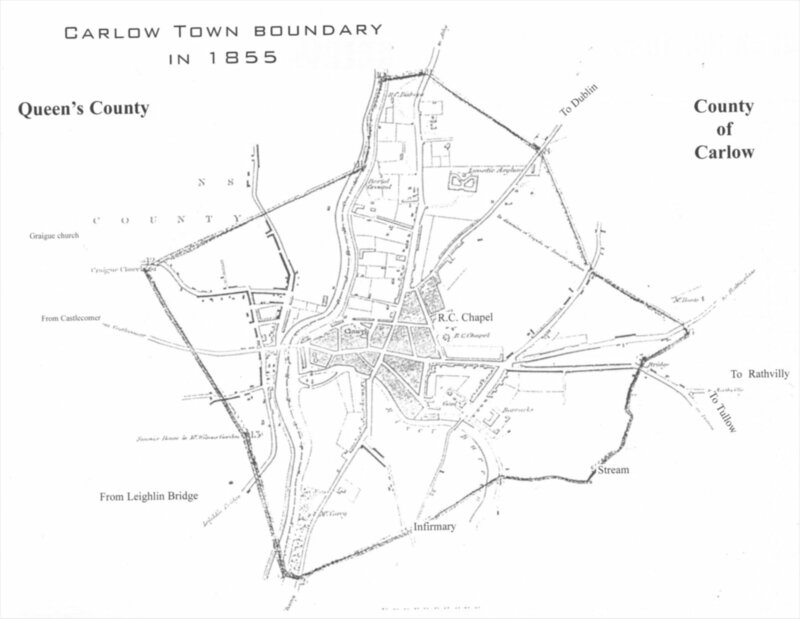 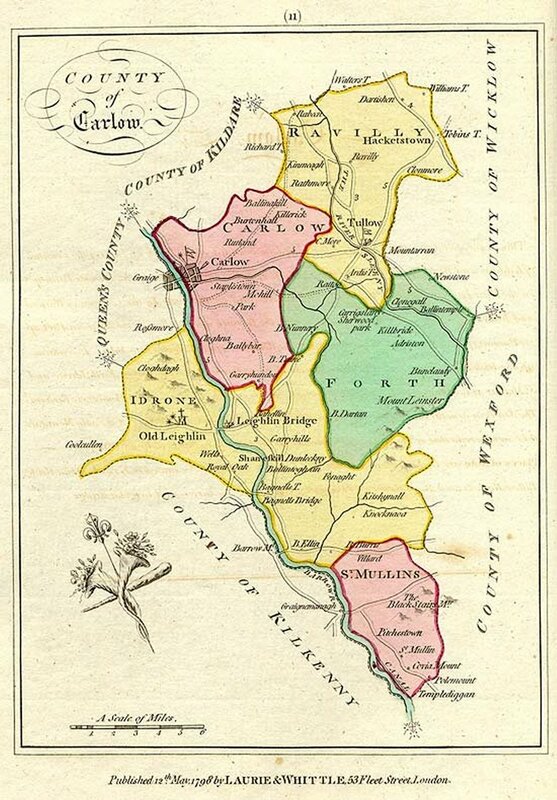 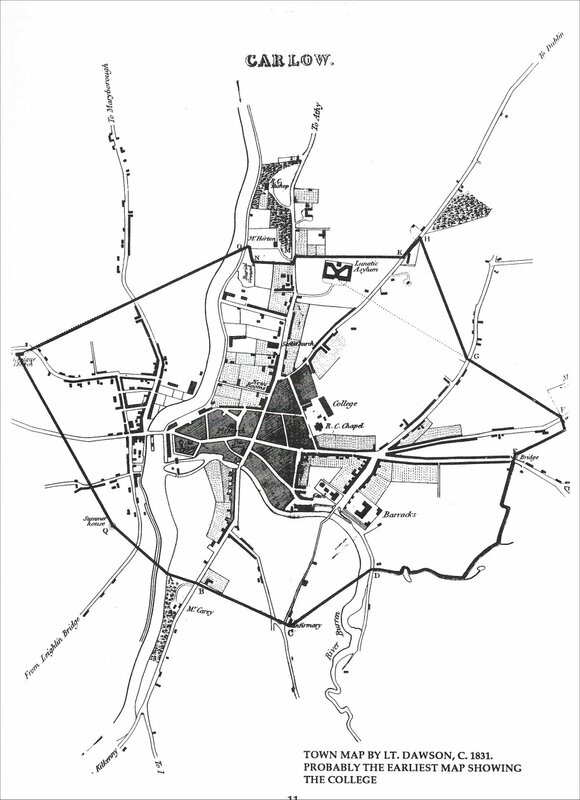 Map of Carlow dated 12 October 1840. 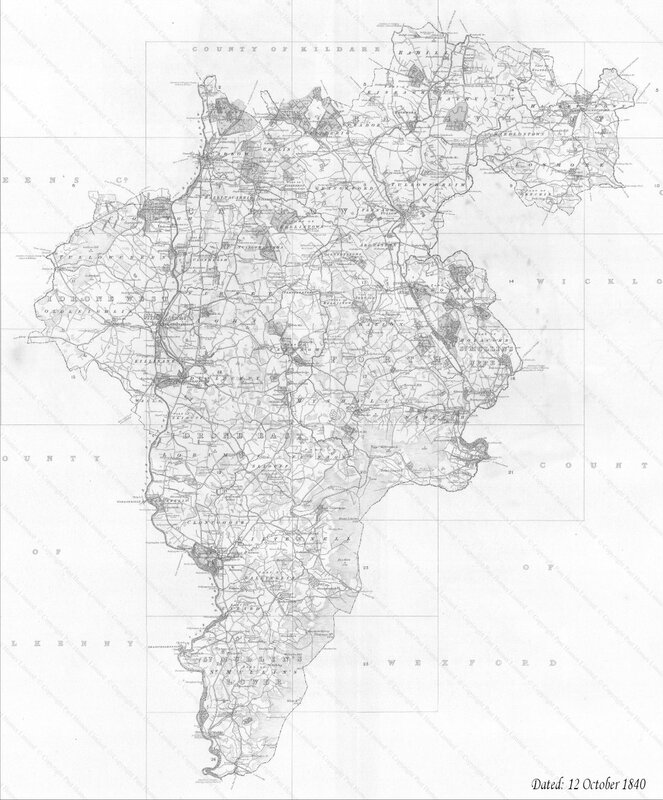 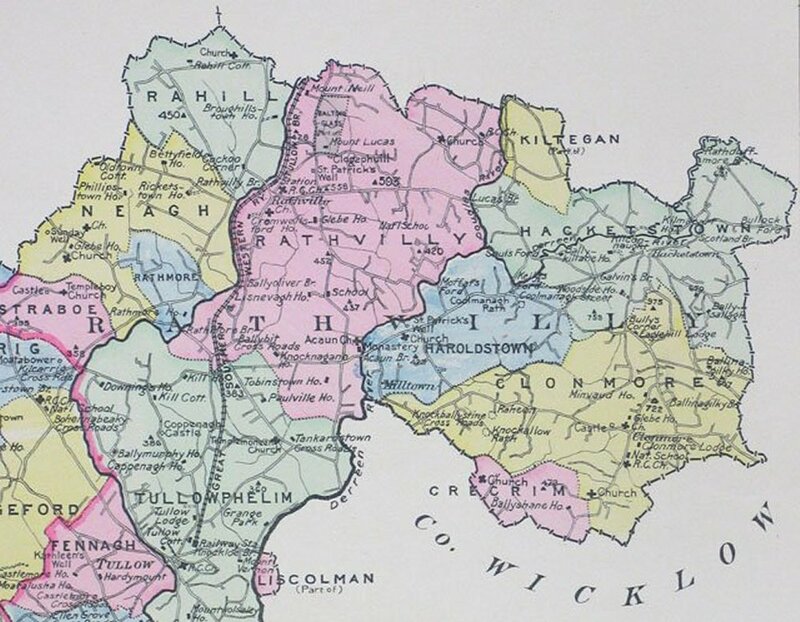 A detail from map showing Municipal Boundary changes. 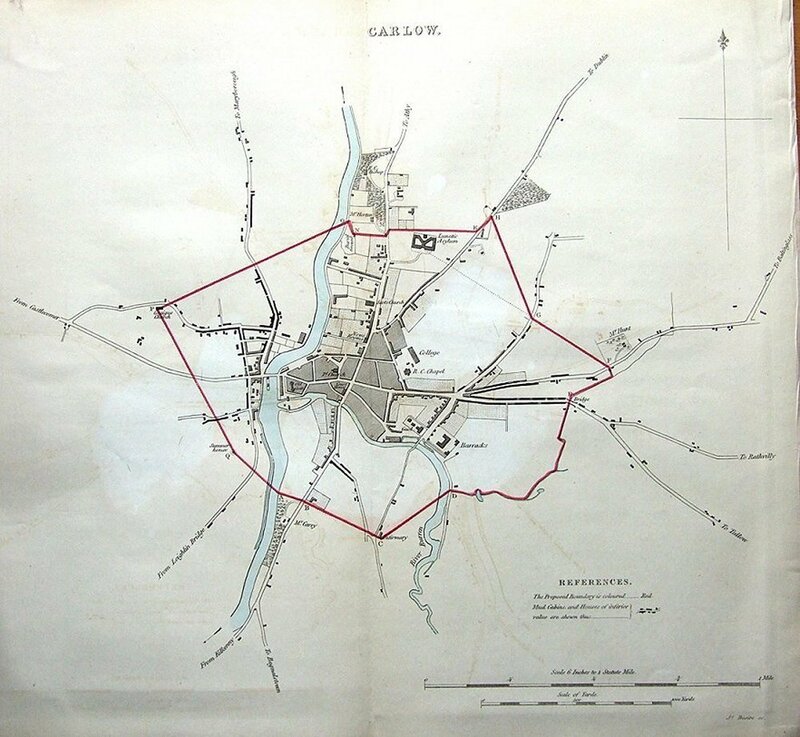 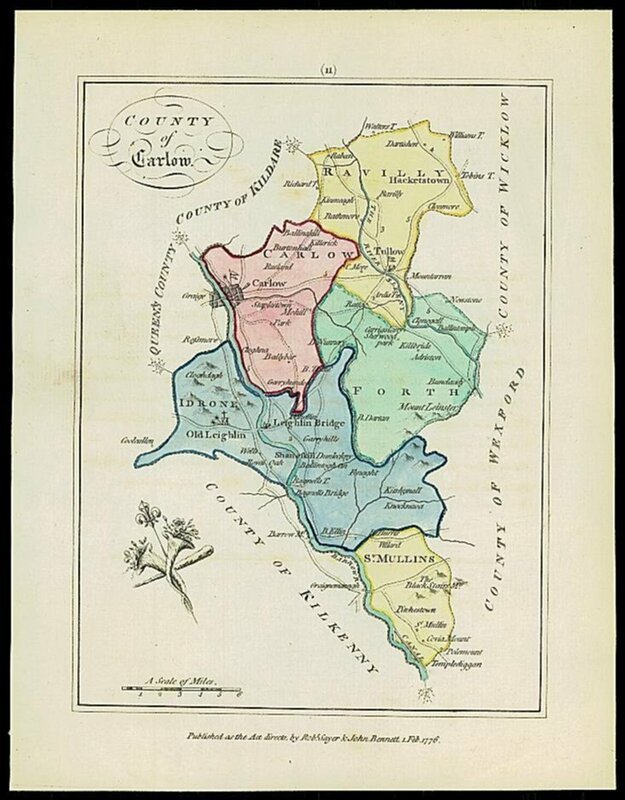 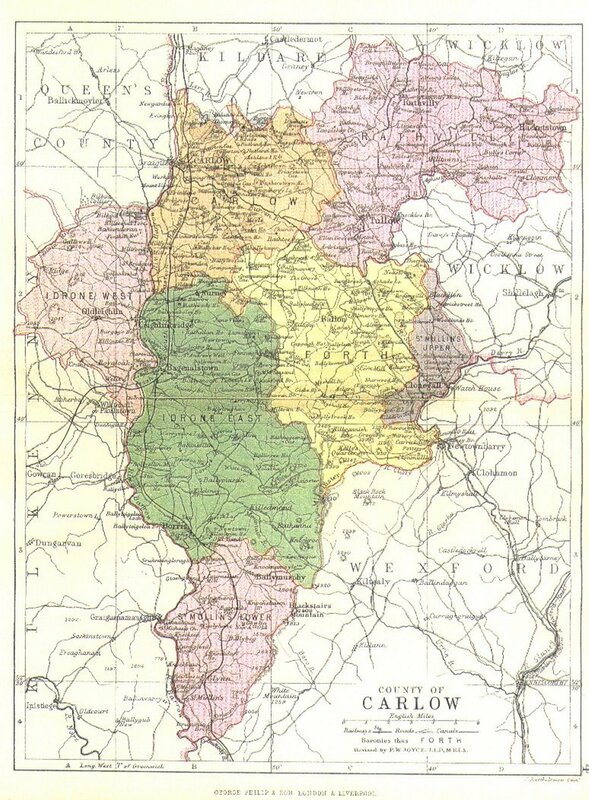 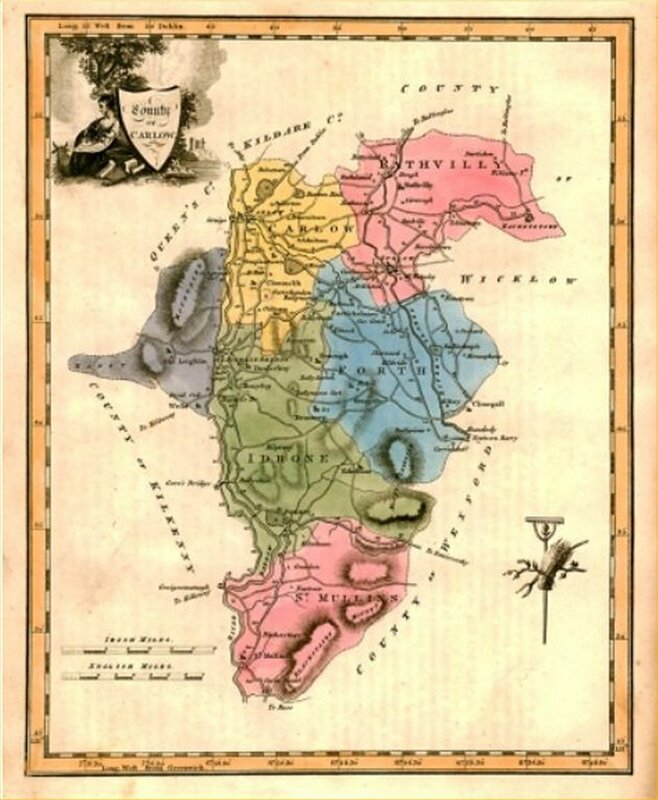 J. Bartholomew' s map of County Carlow c.1870 printed by George Philip & Son, London & Liverpool. 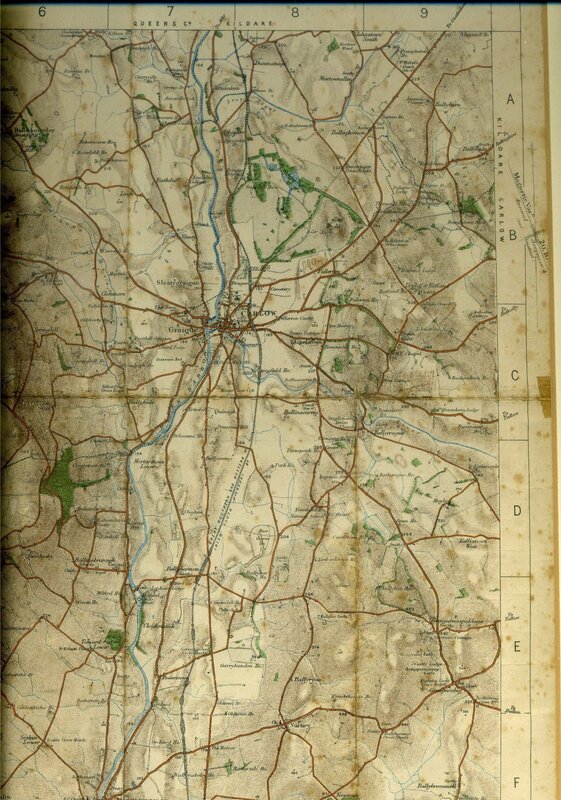 This map, based on a survey carried out by the Engineering Department of the British Army in the 1850s. 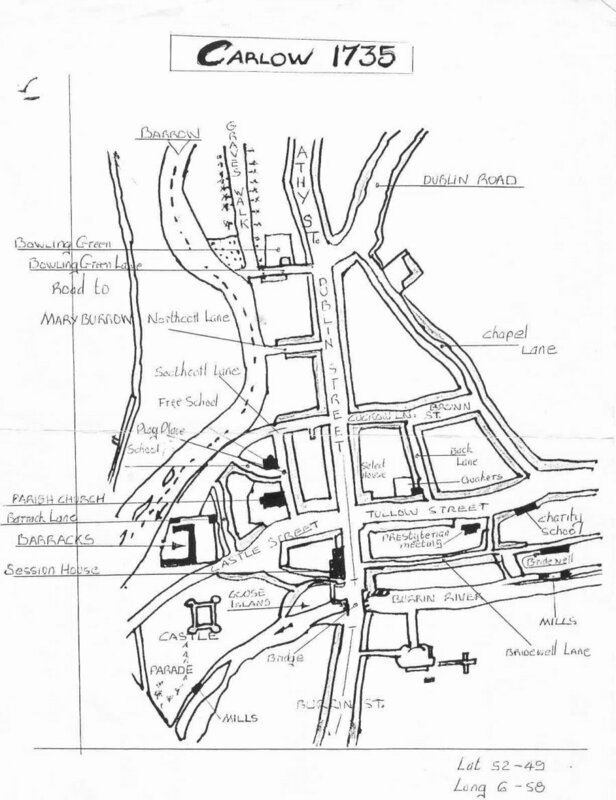 This map originally belonged to Pat Purcell.